The Ashton VSG (Virgin Sun Grown) line is hand crafted by the best of the best - Arturo Fuente and is the ultimate Ashton cigar. A medium to full-bodied cigar with a superb balance and depth of flavour. 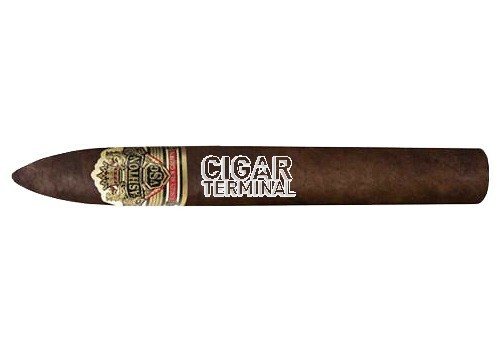 Ashton Cabinet VSG Torpedo cigars were rated 5th Best Cigar of 2007 by Cigar Aficionado with a rating of 93 - their highest ranking figurado cigar (higher than the Opus X Lancero).